A Bondi resident has struck gold twice in the space of five days, after reinvesting some of his lottery winnings on a second winning ticket. The 40-year-old got his first win last Monday when his system entry took out the guaranteed $1 million division one prize. wow wow wow, what a lucky!!! I've never met him, but I already hate him. Santi wrote: ...what a lucky!!! 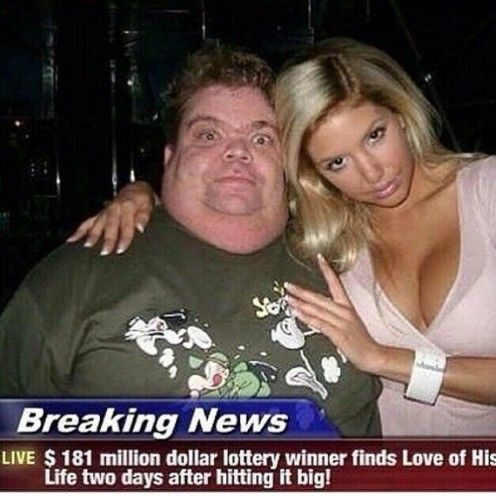 Reminds me of the time I won the lottery and then found true love just a couple of days later. I'm sure it will last. fish wrote: Reminds me of the time I won the lottery and then found true love just a couple of days later. What do you think it was first attracted that girl to the multimillionaire lottery winner? Well, I am the "looker" in the family. Oh, and I meant to include this little button in case of emergency.